Japanese telecommunication giant SoftBank has confirmed that the company intends to acquire UK chip designer ARM Holdings for almost $32 Billion (£24.3 Billion) in an all-cash deal. 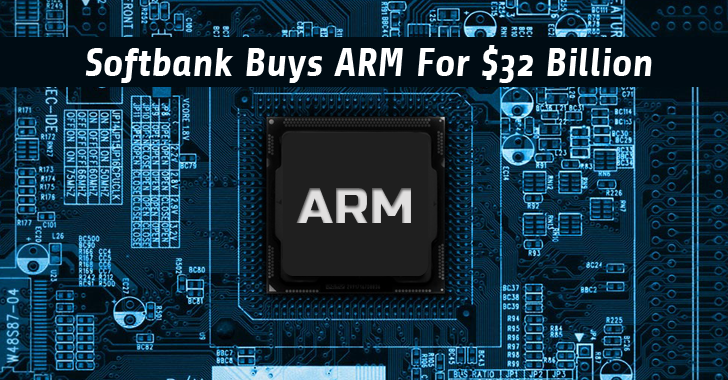 ARM has also agreed to this offer from SoftBank and said that its board would recommend the all-cash deal to shareholders. SoftBank will pay nearly $22.5 per ARM share, which is 43 percent more than ARM's closing share price on Friday and 41 percent more than ARM's all-time high closing share price. The deal is the largest-ever acquisition of a European technology business, first reported by The Financial Times. Wondering Why is ARM really Worth $32 Billion? Founded in 1990, Cambridge-based ARM Holdings designs microchips for a variety of smartphones and powers more than 95 percent of the smartphones in the market. Whether it is Apple's iPhones or iPads, Samsung's Galaxy smartphones, Amazon's Kindle e-readers, the cheapest Nokia phones or Internet-connected devices like Nest's smart thermostats, Fitbit's fitness trackers, Canon's EOS cameras, Ford's cars, and DJI's drones, all are powered by ARM-based chips. "This is a compelling offer for ARM shareholders, which secures the delivery of future value today and in cash. The board of ARM is reassured that ARM will remain a very significant UK business and will continue to play a key role in the development of new technology." ARM does not actually manufacture chips, but rather it licenses its semiconductor technologies to a huge variety of device makers. 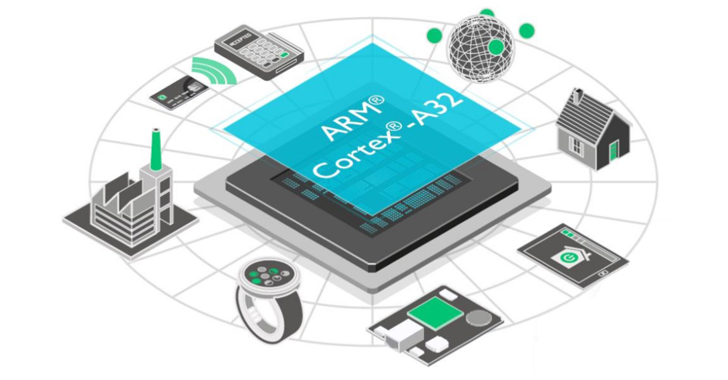 ARM not only dominates the market for smartphones but also used in other consumer gadgets, industrial-like devices and "Internet of things." So, SoftBank’s acquisition of ARM Holdings means the Japanese company is buying the most valuable company in the world of mobile processors. SoftBank said that ARM Holdings, which currently has 4,064 employees worldwide, will remain headquartered in Cambridge, and that the company would retain ARM's senior management team, brand, as well as a lucrative partnership-based business model. The Japanese firm has also promised to double the staff headcount in the United Kingdom over the next five years. "We have long admired ARM as a world renowned and highly respected technology company that is by some distance the market-leader in its field. ARM will be an excellent strategic fit within the SoftBank group as we invest to capture the very significant opportunities provided by the Internet of Things." Son described the ARM acquisition as "one of the most important" acquisitions in the history of its Japan-based business. This is the latest major tech acquisition in last few months. At the beginning of this month, Antivirus firm Avast acquired AVG Technologies for $1.3 Billion in cash and last month; Microsoft made its biggest acquisition by buying LinkedIn for $26.2 Billion in cash.